Without exception, the Founding Fathers were a fascinating bunch. And while every American is aware of George Washington and Alexander Hamilton, relatively few appreciate the humble origins or exceptional leadership provided by John Marshall. A Revolutionary rifleman who survived the harsh winter at Valley Forge, Marshall later became a lawyer, member of Congress, served as Secretary of State and, in the waning hours of the John Adams presidency, was nominated to the U.S. Supreme Court. Here, of course, he made his most visible and durable contributions to the new nation. “The remarkable story of John Marshall who, as chief justice, statesman, and diplomat, played a pivotal role in the founding of the United States. John Marshall’s legacy had a great 2018 between Paul’s book and Richard Brookhiser’s late-year release. I recently (2017) read Unger’s book on Marshall and found it lacking. Typical Unger – well written, but fairly shallow. Brookhiser’s book is next up in my queue. Q: I understand that you’ve turned UNLIKELY ALLIES into a musical. Any theatrical plans for WITHOUT PRECEDENT? A: We are thinking about it. I listened to a couple JRP interviews when his book was published and was quite impressed. The book is on my shelf, but in the ‘later’ pile for now. 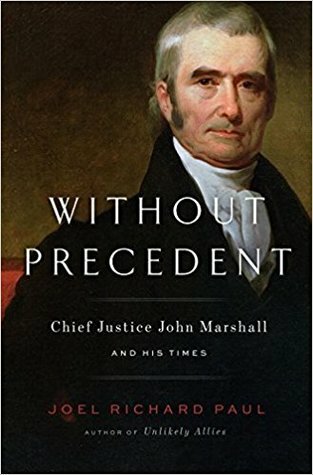 I’ve always wanted to read a bio on Marshall and I just recently put Paul’s book in my online basket, but I will wait for your reviews of this and JES’s treatment of the Chief Justice to see which one is better. 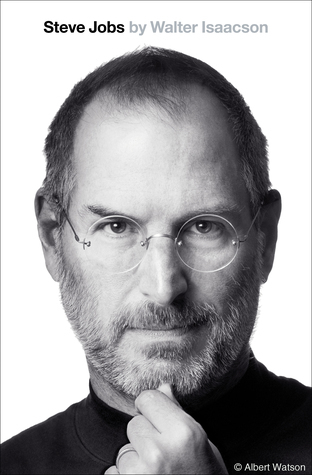 I highly recommed the Marshall bio by Jean Edward Smith, which I found far better than Paul. I also recommend Kent Newmyer’s book John Marshall and the Heroic Age of the Supreme Court, which is a bit more scholarly but does a superb job with Marshall’s jurisprudence. Brookhiser’s new book is fine, but brief, as usual for him.